The workshops will concentrate on pulling together stories, ideas, and opportunities that could be used to boost tourism in the area. The workshops will take place in six locations; from Ballycroy to Delphi Valley including Achill Island and the Currane Peninsula, Mulranny, Newport, Westport, Murrisk, Louisburgh, Clare Island and Inishturk. The findings from the workshops will feed into a Visitor Experience Development Plan, which will outline ways to improve the benefits of tourism for all communities in the area. The aim of the Visitor Experience Development Plan is to improve the range and quality of experiences available to visitors and ultimately enable continued growth in visitor numbers, dwell time and spend, helping to extend the tourism season and spread business across all parts of the area. Similar plans have been developed successfully for the Skellig Coast and the Connemara Coast and Aran islands. Miriam Kennedy, Head of the Wild Atlantic Way, said: "Local consultation and input is essential if we are going to produce a plan that works for the visitor and for the local economy. We look forward to welcoming everyone to these workshops to share their knowledge and ideas." The development of the plan will be assisted by external experts appointed by Fáilte Ireland who will bring the benefit of their international experience to the process. 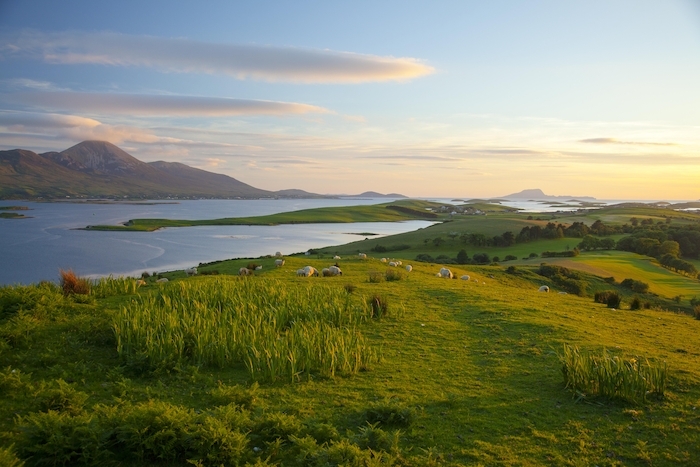 These experts will explore the region, meeting those in the local communities and sampling the experiences on offer for visitors to formulate a plan that will help the Clew Bay area stand out as a destination on the Wild Atlantic Way. The deliberations will also involve key stakeholders including the local authorities and the widest possible range of local tourism stakeholders. Everyone with ideas and knowledge to share is welcome to the planned workshops. The Visitor Experience Development Plan forms part of a bigger process that is seeking to increase visitor numbers on the Wild Atlantic Way, with a particular focus on increasing the time and money they spend in areas that have capacity for growth. The events will take place on; Tuesday, April 9 in The Beehive, Keel, Achill from 4.30pm to 6.30pm; Thursday, April 11 in Nevins Newfield Inn, Tiernaur from 1.30pm to 3.30pm; Friday, April 12 in the Castlecourt Hotel, Westport from 2.30pm to 4.30pm; Monday, April 15 in The Derrylahan, Louisburgh from 6.30pm to 8.30pm; Tuesday, April 16 in Clare Island Community Centre, Clare Island from 10.30am to 12pm and Inishturk Community Club, Inishturk from 2.45pm to 4.15pm. Anyone wishing to attend the workshops can confirm attendance by emailing [email protected]. Anyone who cannot attend a workshop but would like to contribute to the discussion can also submit their ideas to Fionnán Nestor, [email protected] or (086 ) 0481877. Who’ll be the next Irish adventurer of the year? Page generated in 0.1401 seconds.